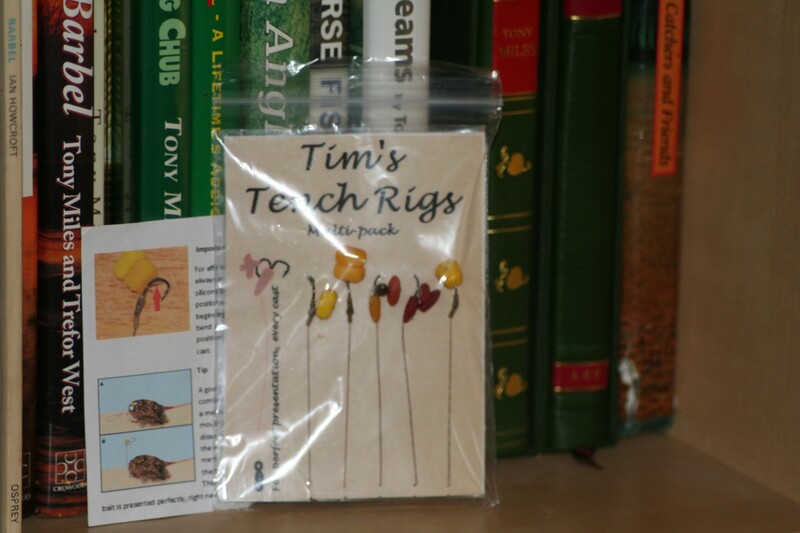 Tim’s Tench rigs, well, what is there to say about these rigs? Because I was using them totally and utterly wrong, my methods of mounting were simple “cack handed” affairs that lacked anything other than a blob of superglue by way of thought process. No wonder mine did not work! Well that isn’t actually correct mine did work it is just that they could have worked better…But could I create copies of these rigs now that I have them in my possession? For what they cost..I wouldn’t bother, it would only end in tears, like the time I pushed a baiting needle through my thumb or the time I drilled my finger through to the bone. So, no I won’t bother trying to copy them…I will be buying them because as long as I look after them correctly they will last me a fair while or until I need to buy a few more! 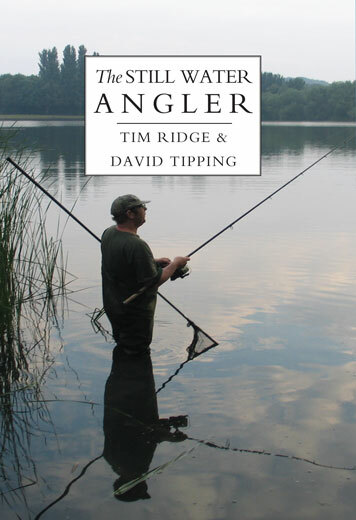 And while I am on with the whole buying thing…how about a copy of Tim Ridge and Dave Tipping’s book! This is a cracking book and one I recommend highly! 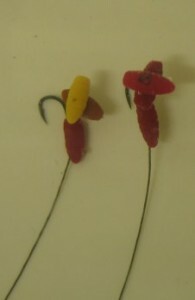 They are both different types of angler but what they have in common is that they are thinking anglers and it is a simple truth that “thinking angers” catch 90% of the fish 100% of the time..always have always will. that is because they use their brains and adopt, adapt and improve! 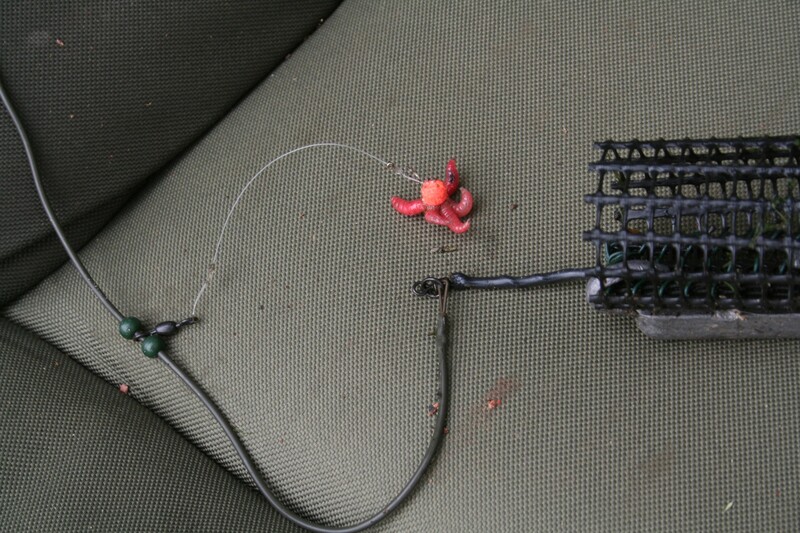 Don’t be left out in a few months when the tench start to roll…Spring is coming and it is coming fast! 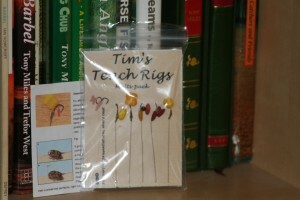 get stocked up with a couple of packs of rigs now! What can it hurt? Nothing excepting your PB list!! Tim’s Tench Rigs ….Get on it! any idea where I can purchase them from.